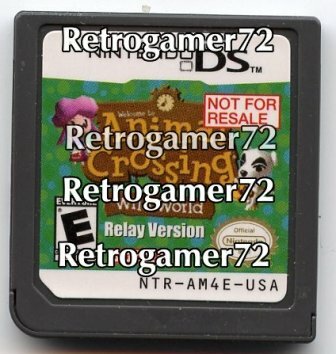 This cartridge was part of a special promotion held at Toys R Us stores from July 23, 2006 through July 29, 2006. By putting your system in Tag Mode this cartridge will send 1 of 6 different Mario themed items to your Animal Crossing town. The items are the 1-Up Mushroom, Star, Fire Bar, Flag Pole, Question Block, Pipe. There is no other possible way to obtain these items except through this cartridge. This cartridge is not playable-it only acts as a host from which others can download items.